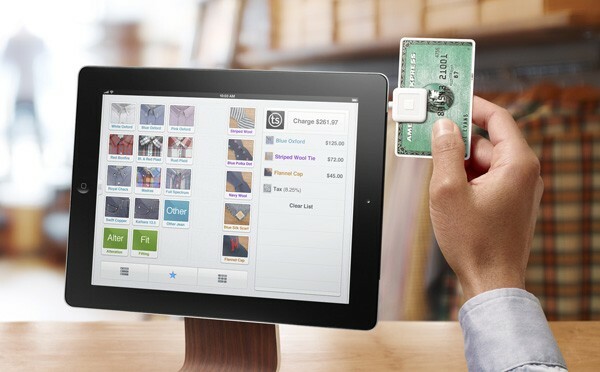 You are at:Home»Mobile Apps»What is Square and Why Should You Care? What is Square and Why Should You Care? With the world becoming more and more digital with every day that passes it’s necessary for businesses to keep up with it. Fewer and fewer people are carrying money around with them it becomes harder and harder for businesses to collect payment, requiring certain services that are offered. However merchant accounts through credit card companies can cost a lot of money, and then there’s the need for the hardware in order to use them and the connection to a wireless network adding another monthly fee on top of the many that are no doubt growing at this point. Long story short, the last thing a smalltime business needs is another monthly fee to add to the lot. Fortunately in this world when a niche market like this is created by the advancing in technology, the technology grows to fill the gap. Instead of paying a huge monthly fee to the credit card companies for that merchants account and all the necessary bits to start doing credit card transactions for your company, there’s a much easier option that can ultimately be very cheap for you. This is called Square, and it’s revolutionizing the market and making credit cards accessible to everyone. Square is a new technology and a new business on the market that has an entire niche almost to itself, making it unique and very useful for small businesses or individual use. The concept of Square is very easy to grasp, as well, so it’s easy to keep caught up with the times and not even have to learn about all the complicated bits involved. When you sign up for Square they send you a little dongle that attaches to your smartphone. This dongle acts as a credit card reader, which effectively turns your smartphone and 3G network into a portable payment method. Furthermore, for businesses, Square will send out the little square dongle for free so that they can use it. They can do this because of the way the business is designed. The accounts are free and the technology is free, the only fee they collect is from each transaction. However the fee itself is only marginal based on the transaction itself and allows for even smaller payments to be made, since it’s only 2.75% of the payment itself per swipe using Square. This adds up to a very marginal amount of a large sum payment, and an almost negligible amount from smaller payments. It’s a service that’s becoming more and more popular, with almost no competition. The only other company running a similar service is Mobilized, which charges a cheaper percentage rate but adds a small flat fee to each transaction, making it a little less appealing for smaller companies and businesses. If you run a business from your home or on the go then Square is definitely something for you to consider, as it removes the necessity for yet another monthly payment and just uses the resources you should already have available to you at the time to make transactions so much easier. Jill Kramer has written several merchant account comparison articles to show the differences between the many choices out there. She is a 15 year veteran of online marketing and lives in Hawaii with her husband and dog.